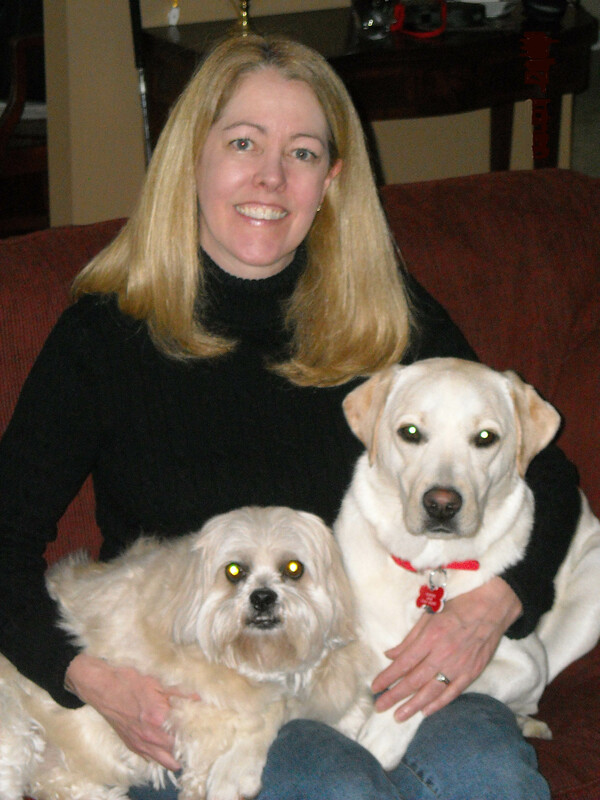 Thank you for visiting my web site, my name is Ann Gleeson and I have owned and loved pets my whole life, they provide us with so much joy and unconditional love that I can’t imagine not having them in my life each and every day. In fact my love of animals guided my career path back in 1987 and I recently retired from a Veterinary Clinic after 31 years working with dogs and cats. That career has rewarded me in so many ways, helping the pets and their owners. But I knew that I wanted more. I wanted the ability to touch more lives, both pets and people. In 2004 at the age of 9 our beloved Abbey developed kidney and liver disease and eventually was taken from us by a nasty fast growing cancer. Much too young we felt for this fate. After doing a lot of research we learned the awful facts about what is in most commercial pet foods. Not only were we feeding our girls food that was void of high quality nutrition but we were slowly poising them with the toxic chemical preservatives and by products that were in these so called “premium foods” and “prescription foods”. Although you may think that all pet food manufactures have our pet’s best interest in mind, that’s not always the case. We discovered that current pet food regulations allow manufactures to use ingredients that we would never knowingly give to our pets. We were shocked to learn what some brand (the brands we were feeding) really contain. This led us on a path to search for better products for our girls. And we discovered Life’s Abundance. 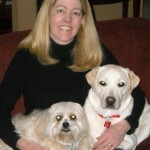 We were so impressed with the fact that the products are formulated by Dr. Jane Bicks a highly respected and nationally recognized holistic Veterinarian, but also how meticulous the company is about the quality and safety of the products, and the fact that they have never been involved in any recall. We not only started our girls out on the products, but I joined the company as an Independent Field Rep and have been able to help so many more animals by educating people about proper nutrition as well as help them earn a on-going monthly income. I’m quite passionate about Life’s Abundance and encourage every pet owner to compare the food they are feeding their pet to Life’s Abundance. Check out the testimonies on this site. By educating pet owners about the truth about pet food and the importance of proper nutrition, pet owners are able to enjoy a healthier pet and pet are able to live healthier happier lives. We are looking for other pet lovers, pet professional as well as dog and cat breeders that want to further enhance the lives of not only pets but pet owners as well. Together we can further improve the lives of pets and people. Helping companion animals to lead healthier, longer and happier lives is not just our company commitment … it’s our personal mission. That’s why we have worked very hard to not only provide the best, health-promoting products; we have also established a foundation to help improve the lives of abandoned companion animals all across the U.S. The Dr. Jane Foundation is a non-profit organization absolutely committed to supporting a variety of animal rescue groups, all of which are dedicated to helping to rescue neglected and unwanted animals. Every time you purchase a Life’s Abundance product, a portion of the profits are contributed to a fund that supports the operations of this organization. Thank you so much for your continued business! Together, we’re making a positive difference in the world, one animal at a time. Click here to read our blog postings on the many rescues that we have helped.